Blogging is one of those things a lot of people enjoy – some do it daily, some weekly, and some whenever they want. There isn’t a single right way to go about it either. It’s all about what your goals are. If I wanted to blog regularly, what tools should I use? And though I generally write about development on this blog, I thought it might be worth writing a short post for the tools I recommend for all bloggers. Though it should go without saying, this entire list is platform agnostic. Sure, I think WordPress is a solid foundation for your blog, but I’m a bit biased. Of course there are other services available (and I’m not hating on them at all – in fact, they may be better suited for what you need!). Before you actually sit down to write and draft a blog post, it’s worth having a place to capture your ideas. This can be something as simple as a notebook or post-it note or it can be something more technical like an app on your phone. Whatever the case, I always recommend people try to capture the idea of what they want to cover in their blog post in a sentence or two, have it stored, and then use that as the foundation for their blog. For what it’s worth, I use Evernote. Here’s the funny thing: I used to despise the application. Now, it’s part of my daily workflow for many things. If a blog post goes on for too long or it even just appears to be too wordy (which is weird given the idea of a blog is to write, right? ), then people may bounce from the post. To help breakup content, it’s often recommended we use images. The thing about using images we find online is we may end up infringing on other people’s copyright. So it’s always helpful to have a resource available that makes images available that are free and legal to use. 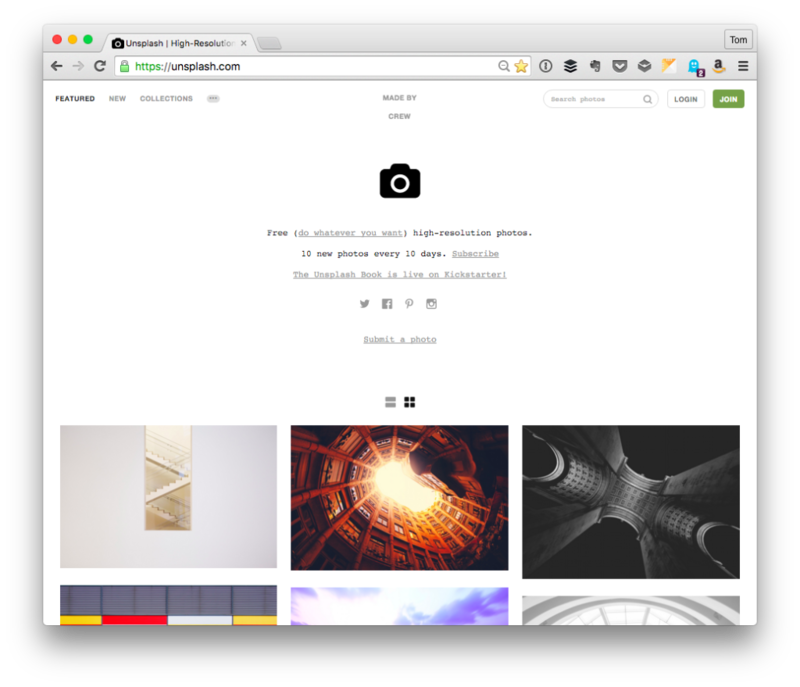 Unsplash is an example of one such site. There are others you can easily find, but this is one I use more than most. When we’re in school – at least in the United States – there’s a way in which we’re taught to write essays and formal papers. Then, depending on your professor, when you get to college you have to unlearn all of it and learn yet-another-way to structure a paper. Or you may just be told a professor “graciously didn’t take off points for verbal diarrhea” (true story!). Then you get out of school and realize people don’t want to read a long-winded article about any-given-topic (though that might be what you think I’m doing right now :). Anyway, in order to develop a certain style of writing it helps to find your voice and it helps to find it in such a way you’re communicating succinctly it helps to write in an app that also serves as a type of editor. And that’s what Hemingway does. 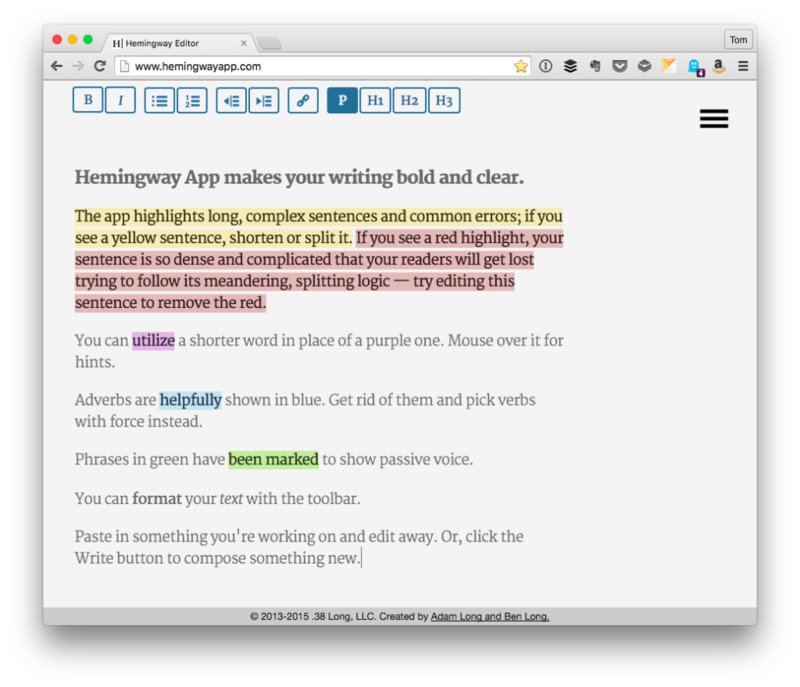 In short, you write in the editor and it highlights problems with your writing and lets you know when it’s in a proper state. I don’t always use this, but I did for a significant amount of time. I still return to it from time-to-time, but if you use it for, say, one month as a way to draft all of your posts, then you end up learning how it works and you end up developing habits around its editing. For many, this is a very general list and may not even be particularly valuable. But remember, this post is geared towards those who are just looking to get started in writing. Furthermore, this is also meant to be a point of reference to which I can point whenever I am asked about my recommendations. There are other advanced platforms, plugins, tools, and strategies I’d recommend, but they are beyond the scope of this post. Next year, I’m thinking about setting up something to work with those who are interested in getting into daily – or maybe just regular – blogging. Part of that would include advanced tools, habits, etc. But I digress. For now. For now, though, I’m interested in what you’d add to a casual list of tools for bloggers in addition to what’s above. Even if you’re just the occasional blogger, what would you recommend and why? We recently release an attribution plugin that your readers will find useful. 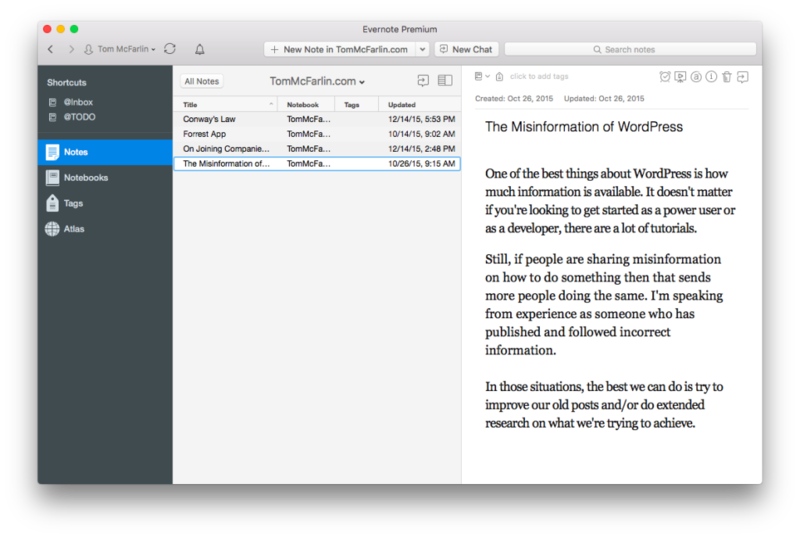 We used it as an internal tool for the custom WordPress themes we build. It’s called Image Attribution Tagger and as the name suggests it makes it easy to tag and image with an author attribution. Sweet stuff, James. Thanks for sharing this! Happy to have it here in the comments. Big fan of Grammarly (combined with Hemmingway) to do the spell checking and all the good stuff. yep those are great apps, even if Evernote hasn’t been my choice for a while. The main reason being I like to have a more granular and “open” approach so I can share links no matter which app I’m using and also gather feedback from others more easily. Cool – I dig seeing other people’s setups (obviously). I use Trello, but largely for business related stuff. I also use Brain.fm when I want to have something other an ambient albums that I purchased or that are on Spotify for music. Several of you have mentioned Grammarly, so I’m going to check it out. Hemingway is nice, but after sometime you kind of get used to what it expects. Further, I’m not totally sold on using it all the time. Sometimes, I want to write exactly like I’d say it in person, you know? On the other hand, maybe I should consolidate how I say things in person, too. Whatever, this is becoming a digression that I never meant to make in the first place ;P.
Never tried Brain.fm but it sounds interesting. I may give it a try. And yes, just like you, I don’t feel like using Hemingway all the time since the value it provides decreases each time you use it. Don’t get me wrong, it’s a terrific app and it helps out and has helped a lot of users (count me in), but if you use it, for example, 3 months straight, you aren’t going to get the same value out of it on your 4th month. Nice post. I am glad to see Unsplash has finally added a search bar! I used to find it too complicated to find pictures I was interested in so I stopped using it. Some of the alternatives that can be useful are Pexels 2.0 and Stock Up. Also, infogr.am can come in handy when one wants to create an easy and responsive chart or infographic. Like many others, I also use Trello for many business related activities, from blog post ideas to communication campaign actions. It can certainly find many uses. I must say, I really like the idea of using Brain.fm when I want to listen to something that adapts to my mood at work. I used to simply play songs on YouTube or go on focusmusic.com, so thank you for the suggestion! Agreed re: Unsplash. And thanks for the mention on the other resources, I appreciate that — always dig having further resources available :). I don’t use infographics much, but who knows what the future will bring :). Sure thing! I’m also a big fan of several things on Spotify by anything via Hammock and anything under the ‘Focus’ genre.